Search Placements by Subject or City, for example: Kiruv, Rabbanus, Miami, Baltimore, etc. Rabbi Avraham Loketch is the Executive Director of Meor at Boston University. 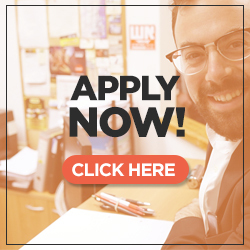 MEOR’s mission is to create a vibrant Jewish future led by a new generation who are literate in Jewish wisdom, culture and heritage, instilled with a deep personal identity that inspires commitment to Jewish values, and empowered and actively engaged in the Jewish community and in support for Israel. Rabbi Shmuel Lynn is the founder and Executive Director of the Maimonides Leaders Fellowship at the University of Pennsylvania, where he has been for 10 years now. This program, spanning a college semester, engages students with the texts and concepts of their Jewish Heritage in a mature and sophisticated manner and offers exposure to the leaders and personalities shaping the Jewish world today. Once students have graduated the Maimonides One Program, they are provided with the option to continue the exploration of their Jewish Heritage through Maimonides Two, which gives them the opportunity to forge an even deeper connection to Jewish Literacy and Judaism. In addition to all these learning options, Rabbi Lynn has provided the Penn students with the option to tour Israel, Poland and South Africa. These different trips have, as their common denominator, the goal of creating aware and inspired Jewish leadership for the future. The creativity and excitement with which Rabbi Lynn undertakes these trips has led to their great success and he has steered the Poland trip to a national program – 3 Meor buses this winter and 5 Olami buses. Other Jewish History trips have included Spain, Gibraltar and Morocco, Russia and Ukraine. Rabbi Lynn is now embarking on a new project: opening an outreach center on the Upper West Side of Manhattan to serve the many students he worked with at Penn, who have graduated and moved to New York City to work. Rabbi Betzalel Mandel was one of the founding members of the Moscow Kollel which was launched in February 2005. At that time there were a handful of families associated with the Yeshiva Ohaley Yakov community. Today, as a result of the dedicated efforts of the avreichim and their wives, hundreds of families are affiliated with the Kollel/Yeshiva community and the kollel’s avrechim are active in numerous shuls and communities including: Central Choral synagogue, the Kavkazi community, the Bukhari community and lately a brand new community in the southwest end of Moscow. All of the Kollel members are teachers or otherwise active in the STARS program, bringing Moscow Jewish students closer to their heritage. This program has seen tremendous success as graduates become full members and leaders in the community. The Kollel wives teach in the local Etz Chaim kindergarten and day-school and have brought the education in those institutions to a new level. Due to the efforts of these devoted women, eligible graduates are able to continue their higher education in Berlin, New York and Israel. Rabbi Mandel and the other avreichim also run and maintain the Mikvah in the central synagogue servicing close to one hundred families. Their motto is Dracheha Darchei Noam, -Torah sells itself. From a small gathering of 3 students in April 2005 their shiurim have mushroomed into several nightly shiurim attracting 20-30 attendees each time. The Rosh Kollel, Rav Yosef Kamenetsky shlit”a is a world renowned Torah scholar and author and has gained the respect of all local community leaders and rabbis. Their organization transcends all politics and community boundaries, and they work closely together with almost every Jewish organization in Moscow that is involved in outreach. Rabbi Naiman is the NCSY director for teens at Oakland’s Beth Jacob Congregation, and is the founding director of BILT, which is an NSCY program that brings boys from the USA for a 5 week trip to Israel, with the goal of forging strong bonds between them and their Jewish identity. Rabbi Naiman is the NCSY Director for the Bay area of N California, where the numbers have increased over the past three years from 20 to 280. Rabbi Naiman’s success derives from the dynamic shabbatons and other programs which he runs, and which magnetically attract the local teens. Recently his chapter ran a program called TAP – Teen Advocacy Program where high school teens were trained for a period of 5 weeks in the art of lobbying. After that they went to Sacramento where they lobbied for gun control and against anti-Semitism on campus. The chapter organizes chavrusos over Skype for high school students, and runs summer programs and GAP year programs in Israel. Rabbi Naiman runs one of the 12 NCSY programs every summer in Israel, and this year his chapter is sending 25 high school students to Israel. This is the largest amount for any chapter on the West Coast. This year he organized the first ever Israel GAP year fair in California which was attended by a record 50 attendees. They are thrilled that the number of 12th graders coming to yeshiva/seminary this year is up from 1 last year to hopefully 6 students this year. Rabbi Samuel Ross was the founding member of both the Berlin and Calgary kollels. In Berlin Rabbi Ross focused on developing student and teen programs and Shabbatons. In Calgary, Rabbi Ross together with his wife Gila launched programs for kids, teens and students. Attendances for these groups were astounding considering the size of the local community. There would regularly be well over 150 attendees at these programs on a weekly basis. This led to Rabbi Ross being recognized by National NCSY as “Best of the Best”. Many of the alumini of these programs today are shomrei shabbos, leaders of Jewish organizations on various community campuses, and B’nei Torah. Rabbi Ross has revolutionized NCSY, as has Gila with programming for Schara Tzedeck, with a real focus being based on Torah programming. The effect is up to 150 kids and teens learning Torah weekly through various means, and tons of kids going to Israel, through NCSY summer programming and gap year programs in Israel. Rabbi Aron Yehuda Schwab, a grandson of the well-known Rabbi Shimon Schwab zt”l, is the Rosh Kollel of the Denver Community Kollel since establishing it, along with Rosh Kollel Rabbi Shachne Sommers, nearly seventeen years ago. During that period, the Kollel has been instrumental in changing the landscape of Jewish Denver, as it has created a culture of Torah study throughout Denver. Currently, the Kollel has two batei midrashim in Denver, one on Denver’s West Side, and one in the Southeast area of Denver, and its ever-expanding circle of influence continues to bring Torah learning, Torah teaching and Torah living to growing numbers of Jews in the greater Denver area. In addition to running the Kollel, during the past few years, Rabbi Schwab has assumed a role in the Bais Yaakov High School of Denver, founded by his father, Rabbi Myer J. Schwab. After graduating from Ner LeElef, the Semels joined the Kollel in Phoenix. The Kollel enabled them to forge strong relationships with members of the existent and growing community. After a number of years, the Phoenix community was ready to embark on a new journey to start a Yeshiva High School. Rabbi Semel, together with one of the other Yungeleit, also a Ner LeElef graduate, was encouraged to lead that journey. They have students from Phoenix and other West coast communities that do not have a Yeshiva High School. Many of the students come from public school and would have continued on in public school if not for the Yeshiva. Rabbi Semel feels that Ner LeElef and its Rebbeim gave him the direction and motivation to make such things happen and he is deeply grateful. He personally continues the connection by attending a Vaad given by Rav Leuchter and has ‘met’ with him via internet to discuss issues that come up in the field. Rabbi Jonny Shippel started his career in Kiruv in Cape Town, South Africa, where he founded and directed the Ohr Somayach Kollel. With the kollel as the base of operations, he oversaw the development of active Torah learning programs, which then led to the formation of a vibrant congregation, Ohr Somayach – Cape Town, and the founding of the Phylis Jowell Jewish Day School. That day school has grown to well over 100 students. In 2005 Rabbi Shippel moved to New York, and became a partner in Gateways, a major kiruv organization based in Monsey, which is active in the Quad-State Area. A few years ago, he left Gateways and founded his own kiruv organization, The Bais, in Upper Manhattan, which features a shul with Shabbos and Yom Tov davening, and from where he focuses on outreach with business and professionals, both singles and families. He also is the Director of the James Striar School, at Yeshiva University, which is a university undergraduate program for young men who have no formal background in Torah learning or Hebrew language. Rabbi Soroka started out as a Rosh Chaburah of the St. Louis Kollel in September of 2005. A year later, he began giving lectures for Jewish, but not-yet-frum doctors on the subjects of bio-ethics, medical dilemmas, Torah Hashkafa and Halacha. The program grew and now has dozens of top doctors and lay people attending Continuing Medical Ethics accredited monthly sessions at Missouri Baptist Hospital. This program is called, “Two Tablets”, and the “students” have progressed to the point that the selection of cases and of the medical experts who join Rabbi Soroka as lecturers, is done by the physicians. Nine years ago, Rabbi Soroka started a novel program. This is a football league for young professionals. It’s called “Torah & Turf”. Since becoming friends with Mr. Kevin Demoff (the Chief Operating Officer and Executive Vice President of the St. Louis Rams), the kollel has been able to host the most incredibly exciting events for league participants. They have a recruiting event where all new members get tickets to a game and Mr. Dernoff gives the new recruits the owner’s suite. They attend events at Rams Park, and visit the training facility. The championship in their league is played at the Rams stadium, the Edward Jones Dome. Every week they have an interactive class on topics that are relevant to the “players’” lives and one of the rabbis from the Kollel shares a Torah perspective. The league has grown to about 60 men (ages 19-40), and they have events throughout the year in order to get the families involved in Yiddishkeit, so it’s having an impact on hundreds of Yidden in St. Louis. The “Torah & Turf” rabbi meets with each of them on a one-on-one basis regularly. One fellow who joined in the first season just came back from Yeshiva Machon Shlomo, and is totally frum and a real Ben Torah. He rejoined his old team and is now working in kiruv from the other side of the line! Rabbi Shimshon Silkin is the Rav of Congregation Beis Yisrael, a vibrant community formed in 2013 by families who have made serious strides in their Yiddishkeit in recent years. Since 2009 Rabbi Silkin has been the director of seed in Borehamwood and Elstree and a senior lecturer at their seminars. Borehamwood is a leafy suburb of London which has the largest concentration of secular Jews in England, if not all of Europe. seed is the UK’s leading adult education and outreach program with centers across the country and thousands of participants in their many events; Rabbi Silkin and his wife have, with tremendous siyata dishmaya, been developing a successful kiruv program for the young families in the area. A lot of the inspiration for what they do comes from their years spent with the Dallas Kollel where they opened a center housing the branch of DATA in the northern suburb of Plano (DATA of Plano). Rabbi Silkin also teaches hashkafa at numerous London high schools and runs Aish UK’s Project Chazon which runs hashkafa programs and seminars across London and the rest of the country for the frum high school community including running trips to Poland for frum high-school students.